McGauley Holdings has sold a building it has long owned at 730 Cherry St. to Karen F. Hutton. 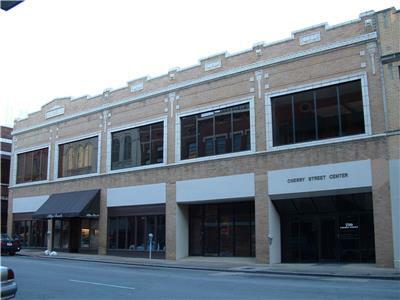 The Cherry Street Center was sold for $1,634,500. Hutton currently has its headquarters at 736 Cherry. Hutton announced in January that it had closed on the sale of a high-quality, diversified retail single tenant portfolio for $185.8 million. The portfolio consisted of 59 properties in 14 states net leased to industry leading national tenants, including O’Reilly Auto Parts, Walmart Neighborhood Market, Family Dollar and Dollar General. Utilizing the proceeds from its portfolio sale, Hutton anticipated investing in properties totaling over $350 million of project costs in 2018, it was stated. This 2018 investment volume is in addition to nearly $340 million of project costs originated by Hutton in 2017. Hutton is a fully integrated, self-managed real estate development and investment company, primarily focused on acquiring, developing, constructing and managing high-quality single tenant, multi-tenant and shopping center retail properties located in the United States. In addition to acquiring and developing properties for its stabilized portfolio, the company also provides capital investment, development, construction and asset management services to its third-party clients. Over the past 20 years Hutton has completed over 1,000 projects for more than 50 retailers across 40 states. Ms. Hutton said she was "influenced by her father, David Hutton, Sr., who lived a fearless work ethic and the humility of her mother, Jean-Marie." Hutton was awarded Chattanooga’s Corporate Philanthropist of the Year in 2014 and Karen Hutton was named one of 2015’s Top Ten Influential Business Leaders to Impact Chattanooga. She was inducted into UTC’s Entrepreneurship Hall of Fame in 2016, and awarded Chattanooga Girls Leadership Academy’s first-ever Founders Leadership Award in 2017.